Dear friends and followers! 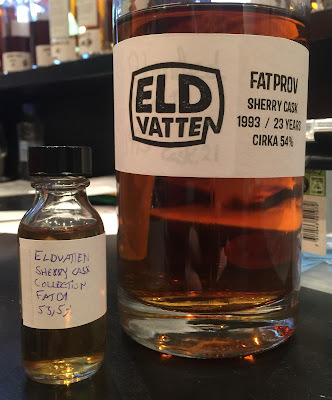 When working at the Borlänge Beer and Whiskyfestival in November last year, I passed by the stand of swedish indendent bottlers Svenska Eldvatten (Swedish Firewater) to have a chat with Peter and Tommy. Of course I was very keen on finding out if there was any new release coming up shortly that they wanted me to review. And indeed they did have something for me, something very special; the first release in their new series called Sherry Cask Collection. All bottlings in the series will be from different single sherry casks, and of course, always bottled at cask strength, yummie! So, what is special about this first release? Well, actually it’s a blended malt from a single cask. The new make from each of these distilleries was distilled in October 1993. Whether or not the new make was "blended at birth" is not known. However the whisky was bottled in November 2016, so that means 23yo! 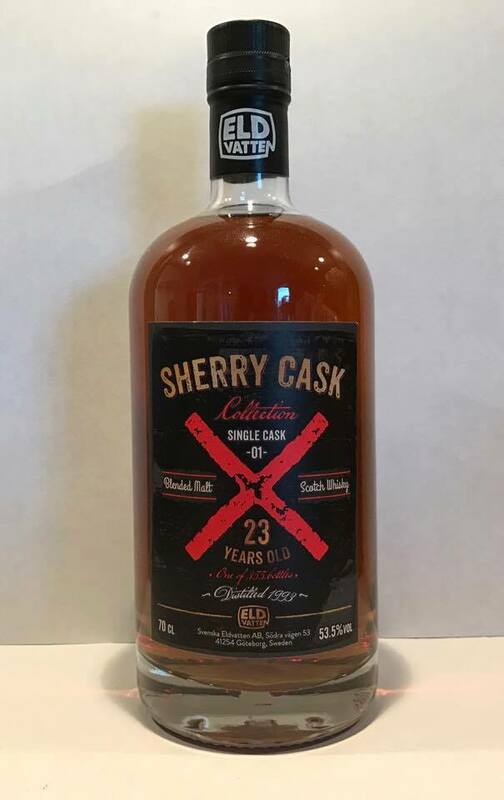 The whisky has been bottled at cask strength 53,5% ABV. The cask gave 355 bottles. This first release will be available at the swedish state monopoly starting this Wednesday, please feel free to check it out by clicking here. Unfortunately I do not know from which three distilleries the whisky comes from, whether it’s american oak or european oak, whether it’s firstfill or refill, what kind of cask, or what kind of sherry, but I’m guessing Oloroso. Ok, this is very exciting, let’s see what we have here! 2). The peat found on the taste is not at all there on the nose! So when you taste it you will find it to be a welcome surprise indeed. 3). Given the soft and medium dark vanilla this is probably matured in american oak rather than european oak, and probably refill rather than first fill. Dear friends and followers! 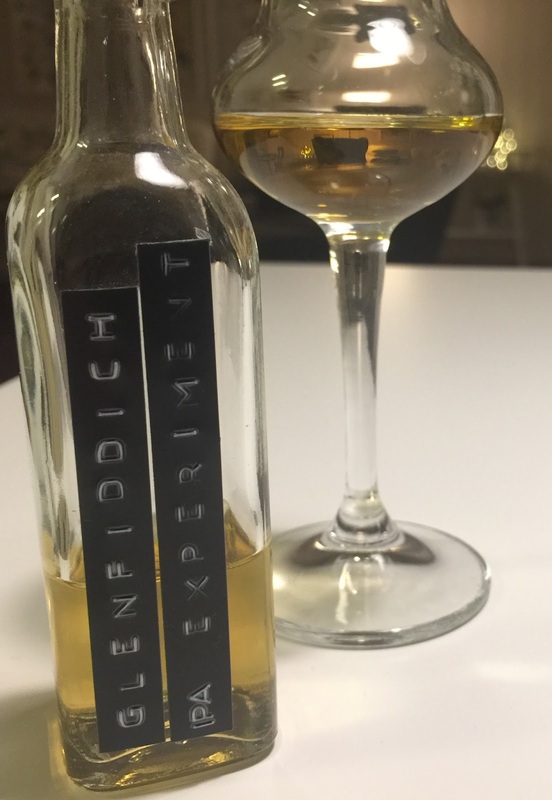 In the beginning of november, Glenfiddich contacted me with info about a coming release, namely their "IPA Experiment". This whisky is the first one in their new "experimental series". 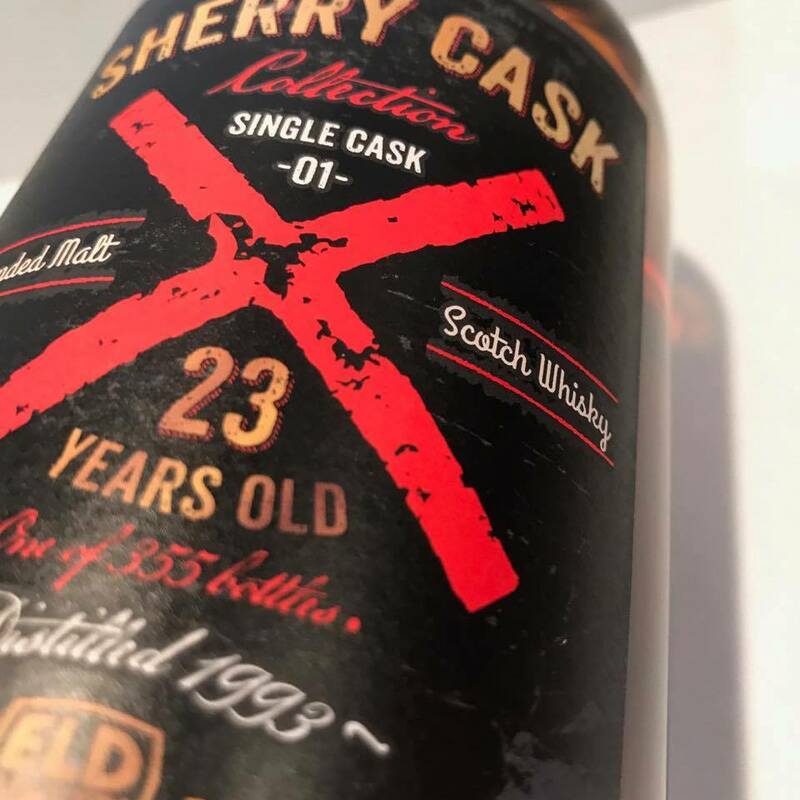 The whisky (no age declared) has been finished in american oak barrels that previously held a Speyside IPA created especially for this end, that is, to give flavours to the casks. The IPA has been in the casks for 4 weeks and the whisky has in turn had a 12 week finish in the casks. For more info on the process and on this first whisky in the series, please feel free to check out this link. 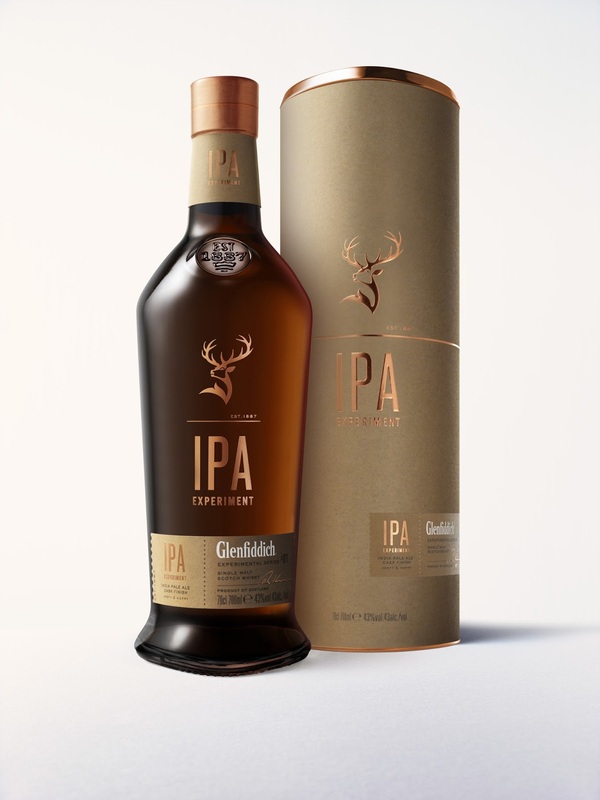 Here in Sweden, Glenfiddich IPA Experiment will be released this friday at the swedish state monopoly, and you can view the product here. Since the nice people of Glenfiddich offered me a sample of this new whisky, it is time to share some nosing and tasting notes with you all, ok, let's go! starts off incredibly creamy and rich/"thick" (focus on vanilla cream and honey). interestingly enough, none of the citrus fruits are there, but overripe banana sure is! at the exact moment of swallowing, i get overripe pear and most of all lots of vanillafudge and honey. 10 seconds or so after swallowing everything gets very, very dry, and quite spicy actually, most of all though, very dry. After about 20 seconds or so, a slight, slight touch of cinnamon, coffee and very light milk chocolate comes along, interesting... the aftertaste is very long and above all, very dry, especially so on all of my tongue and the "upper mouth"
So, to sum up, firstly: Is this a good whisky? Yes, definitely a really good everyday dram! If I remember the 12yo correctly i'd say that IPA Experiment is the best of the two. 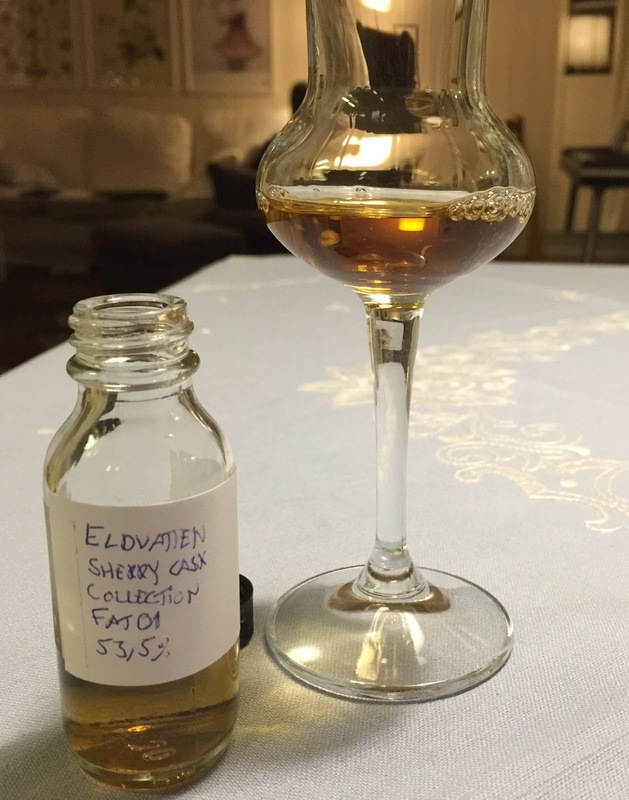 However it does not win over the 15yo Solera (but it might be unfair to compare two so different whiskies).